When it’s time to consider new siding for your Austin area home or business, James Hardie® siding with a non-prorated 30-year warranty, is a choice that adds curb appeal and lasting protection from our extreme Texas elements. 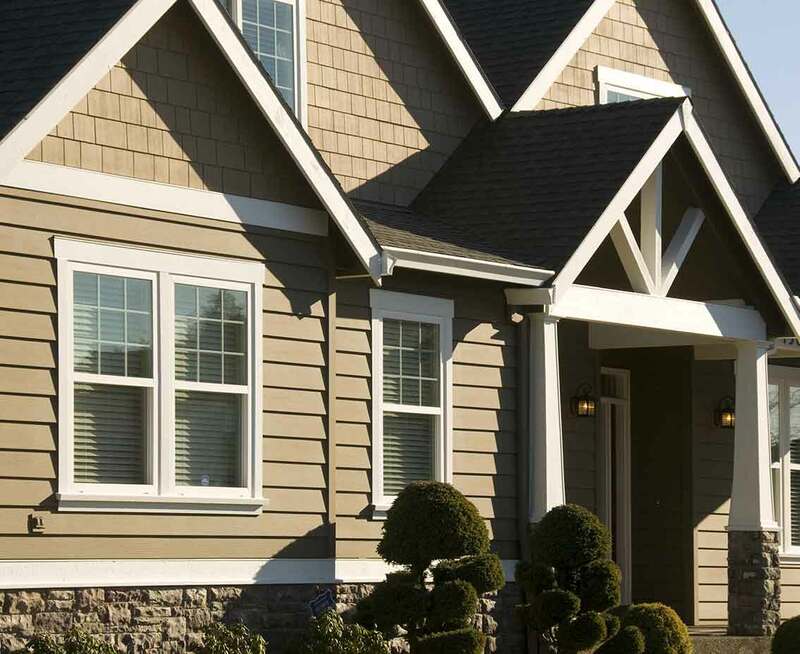 Hardie Plank lap siding, shingle siding and vertical siding are made of fiber cement, making them ideal for our nearly year round simmering summer weather. This exceptional siding material offers the classic appearance and character of wood, yet is made from renewable and recyclable resources that will not crack, rot, or delaminate. That makes it a solid — and green choice for replacing aging siding, covering up an unsightly exterior or adding curb appeal to new construction. And there’s more. Hardie siding is noncombustible and resists damage by hail, termites, and up to 130 mph winds — that’s a Category 3 hurricane! It allows easy color changes and holds paint better and significantly longer than wood or Masonite siding. As a bonus, it frequently translates into insurance discounts! Not many building materials can say all of that…and save you money.